When you think of home security, what comes to mind? Chances are, a home security system! 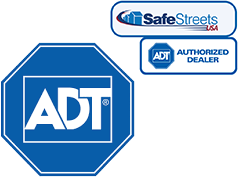 There’s no doubt that the right system can make your home, property, and family safer. That’s why we take so much time to review the best systems on the market. So, check out our reviews and choose the best system for your home. But, don’t think your job is done once you’ve installed the last sensor and plugged in your security camera. A home security system can help protect you from intruders outside your home, but what about inside your home? The smart technology in your house may be smarter than you think. For example, the Roomba could be doing a lot more than just vacuuming your carpets. The Roomba is a pretty handy device that many people depend on to keep their homes clean. Whether you’re at work or just relaxing on the couch, you never have to worry about vacuuming ever again. But, you have a new worry to deal with. The New York Times reports that this unassuming device could actually be learning about your family and communicating what it discovers to companies like Amazon, Google, and Apple. There’s tons of information it could be transmitting, and you don’t even know it. It’s obvious that a Roomba would learn about the size and layout of your home, but it can also learn about your family’s daily traffic patterns. It can even make a guess about your income based on the kind of furniture you have in your home. Fortunately, the consequences aren’t too insidious. This information is sold to various companies for marketing purposes. Your Roomba could be the reason why you’re getting more junk mail and spam emails. But, what if someone could hack into your Roomba and glean that information? Someone who’s looking for the perfect time to break into your home while you’re away? And Roomba isn’t the only one. 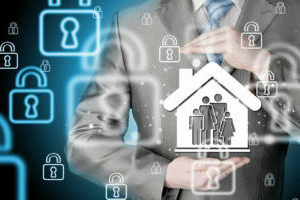 The smart home revolution is underway, and if you aren’t prepared, you could be compromising your home’s security, whether you have a home security system or not. Smart home devices aren’t inherently bad. You just have to be careful how you use them. When it comes to the Roomba, you don’t have anything to worry about quite yet. Contracts to sell Roomba maps will probably take a few years to come into fruition. Before they do, you can protect yourself by turning off the map data on your Roomba, or you can just disconnect it from the internet altogether. What about other devices? It pays to understand exactly how they work too. When it comes to your computer, it’s a good idea to cover the camera when it’s not in use. Hackers can gain access to your webcam. Your TV is becoming smarter too, as are the devices that utilize it. Not only can hackers access your camera, like they can with your computer, hackers could be listening to you through your television, Xbox, and other devices. Unplug them when they’re not in use, or look at the owner’s manual to find out how to disable these features. Other smart home systems are hackable as well. From melting the ice cream in your freezer to adjusting the timer on your lights, you’ll want to make sure your passwords and Wi-Fi connection are secure. Not all devices are out to get you. The Amazon Echo has gone to extensive lengths to make sure their technology is secure. However, technology is changing all the time. If you share your home with Alexa, it’s a good idea to keep up-to-date on all the latest industry news to make sure a security hole doesn’t open up in the future that can compromise your family’s safety. Don’t let the Roomba scare you from smart home technology. It can make life a lot easier. Just make sure it isn’t at the expense if your safety.